QUESTION: You said that Kim Jung Un was at risk of being overthrown and therefore he would have to shift direction or go to war. When do you see North Korea falling? ANSWER: When Korea was split in 1945 into communist North against the South, the terrain has always dictated the situation. About 65% of Korea’s heavy industry was located in the north, but, due to the harshness of the terrain, only 37% of its agriculture existed in the North. This is why the North often has bouts of famine. I have warned that the Economic Confidence Model has three distinct components. There is the main wave frequency based upon Pi of 8.6 years which builds into 6 waves forming the major wave of 51.6 years which seems to be the generational shifting wave that manifests in political changes between public and private trends. Then there is the Volatility Wave component. This is what causes one 8.6 year wave to be more pronounced than another. 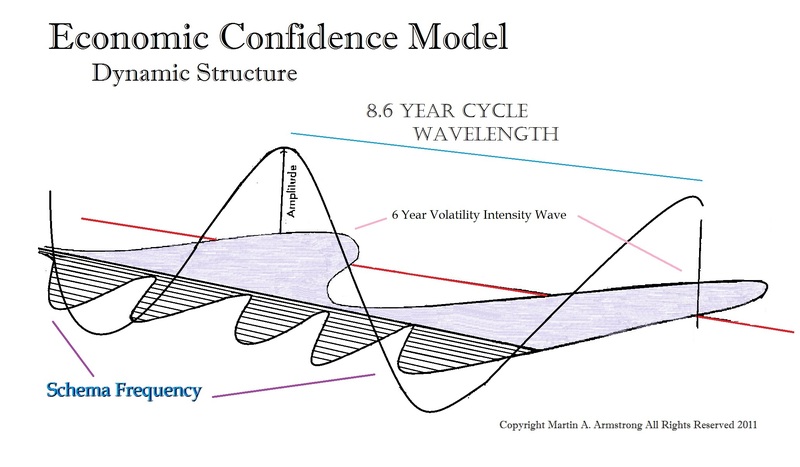 The volatility component has a frequency of 6 years which is a slower moving wave taking 12 unit waves to build into the ultimate volatility peaks of 72-year intervals. The Schema Frequency I do not reveal. To put this in context, it is the DNA wave of a coded pattern throughout time. This will be the last thing I ever reveal if I decide to do so. The jury is still out. This is what everyone has tried to get from me for so long. It is the key to the interaction of waves. On August 8th, 1945 (1945.602), the Soviet Union declared war on Japan. Soviet troops advanced and the US government feared Russia would occupy the whole of Korea. On August 10th, the US government proposed the 38th parallel division. Therefore, the 72-year of volatility began during the summer of last year – 2017.602 (August 7th). Communism fell on its 72-year cycle (1917-1989). The Soviet Union broke up 2 years into that cyclical event. This places the same timing risk cor North Korea going into 2019-2020. The 51.6-year cycle from 1945 (1997.202) marked the start of the 1997 Asian Currency Crisis. 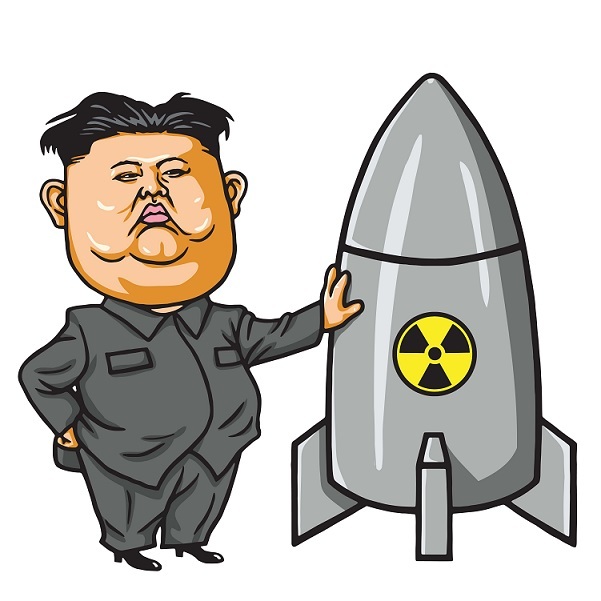 Kim Jung Un was conducting missile tests that began on February 12, 2017, last year, which was just a KN-15 Pukguksone type. Thereafter tests took place on March 6th, March 22nd, April 5th, April 16th, April 29th, May 14th, May 21st, May 29th, and June 8th. The intercontinental ballistic missile tests began with the Hwasong 14 on July 4th, probably because of the American Independence holiday. That is when the attention began to really turn to North Korea and that began almost to the day of the 72-year turning point.